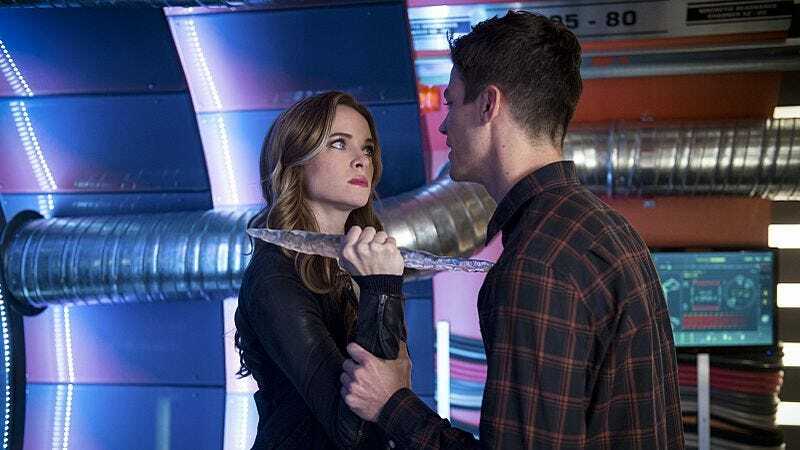 The threads of a scattershot season are woven together in emotionally satisfying fashion in “Killer Frost,” an episode that finally sees Barry Allen called out for his selfish actions while also allowing him a measure of redemption for them. The hour opens exactly where we left off, with Wally encased in a cocoon and Barry in the clutches of self-proclaimed god of speed Savitar. Once again our hero finds himself pitted against a big bad speedster faster than himself, although Savitar has the additional advantage of being invisible to seemingly everyone except Barry. It takes the combined powers of Caitlin and Cisco to zap Savitar into another dimension, at least temporarily. It’s Caitlin’s continued use of her powers that gives the episode its title. Everything is pointing to Killer Frost as a destiny she can’t escape, from her mother’s warning to her Earth-2 doppelgänger to the Savitar acolyte who tells her that his boss has big plans for her. As she slips toward the dark side, Danielle Panabaker gives the character a different spin than she did last season as the Earth-2 Killer Frost: less campy, more tortured. It’s appropriate that she’s the one who lays it all on the line for Barry: in his efforts to fix his own life, he’s messed up everyone else’s. He needs to hear it, and more importantly, we need him to hear it, because that’s the first step toward being able to forgive him for the mess he’s made. In the process, Caitlin spills the beans on Dante, letting Cisco know that his brother was alive and well until Barry screwed up the timeline. Despite all of this, Cisco and Barry are able to work together well enough to capture Caitlin and lock her up in the pipeline. From there, its up to Barry to regain her trust, first by offering himself as a sacrifice: the person she’ll have to kill to be free to pursue Doctor Alchemy in hopes he can take away her powers. She can’t go through with it, of course, and by episode’s end Caitlin is more or less her normal self. Whether she’s able to stay that way and continue to use her meta-abilities is still an open question, but I’m guessing we haven’t seen the last of her struggle. Perhaps a bigger sacrifice (since Barry must have been pretty sure Caitlin wouldn’t go through with killing him) comes when Barry visits Julian in the hospital, where he’s recovering from being knocked out by the Flash after Caitlin kidnapped him. Since Julian can identify his kidnapper as Barry’s pal, he forces Barry to quit his job at the CCPD in exchange for keeping his mouth shut. It’s a harsh price to pay, but Julian’s complaints about Barry aren’t entirely wrong (even if they are lacking in the context that would make them excusable), and again, it feels important that Barry take a hit like this to atone for his actions. Flash-style heroism comes easy to him, but accepting this kind of punishment in order to get a friend off the hook is a welcome show of maturity. As it turns out, Julian has a secret of his own, and it’s…exactly the one I said was too obvious in last week’s review. Well, who knows, in this age of online crowdsourcing aimed at ferreting out every possible surprise a show might have to offer weeks or months in advance, maybe going with the most obvious solution is the right move. So Julian is Doctor Alchemy, but maybe Doctor Alchemy isn’t that big a deal after all. Savitar, we are told, is the real power, and Alchemy but one of his acolytes. Is this enough to make Julian into an interesting character? Time will tell. As for Wally, he finally has his long-coveted speed powers once Joe and HR bust him out of his cocoon and Caitlin supplies a formula that clear up his fugue state. Kid Flash is officially born, but the way he acquired his powers will no doubt make the transition to superhero sidekick bumpier than it might otherwise have been. Team Flash is getting crowded, but as long as the emotional truth of the character relationships is as sound as it was this week, it should be in good shape. This is the second episode directed by Kevin Smith, and the best compliment I can pay him is that if I had missed the opening credits, I would have never guessed. The house style is solid and he handles it well. 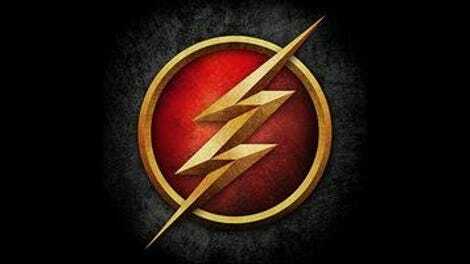 Barry’s unemployment once again raises questions about the ongoing funding of Team Flash. Barry inherited STAR Labs from Wells/Thawne, but since it doesn’t produce anything other than dysfunctional superhero team angst these days, I have to assume there are existing patents that keep the royalties flowing in. “You and me. All-star team-up.” Actually, the all-star team-up is next week, but HR continues to prove his worth as comic relief if nothing else. That line about Barry’s real superpower being hope, however…clunk. Another thing about HR I forgot to mention last week: Now that we’ve seen he has face-switching technology…who’s to say the face of Harrison Wells is his own?